The gym is slated to open this winter. By Adjua Fisher·	 11/10/2016, 1:35 p.m. Listen up, gym rats! A new gym is coming to Spring Garden Street, at the corner of 16th and Spring Garden Streets, to be exact. The 18,000-square-foot gym, a franchise location for Retro Fitness, is being opened by Bob Polizzano Sr. and Bob Polizzano Jr., a Philly-based father-son duo who tell us the two-floor gym, complete with everything from a poppin’ class schedule to a turf area for functional training to a TRX room, should be open by late December or early January. And get this: A monthly membership will cost you between $20 and $30 bucks a month. Insert our jaws dropping to the ground here. 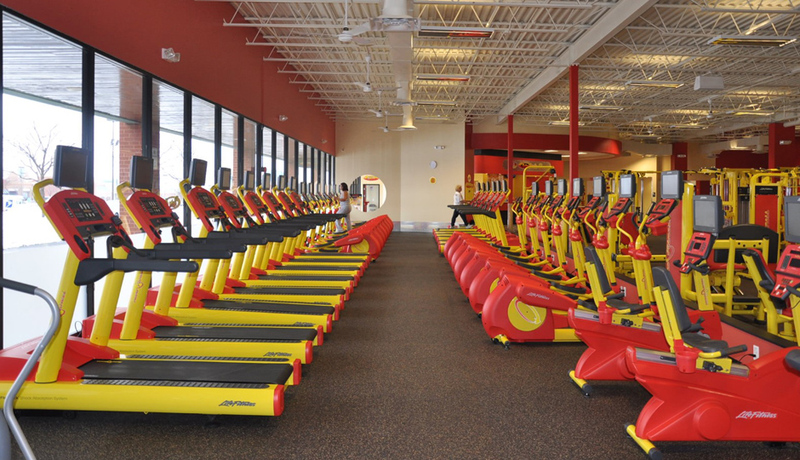 Before we get into all the gym will offer, it’s worth noting that it’s called Retro Fitness for a reason. Just about everything in Retro Fitness gyms (there are over 150 locations across the country) is fire-engine red or banana yellow, and the smoothie bar — which will be open to the public, by the way — is designed to look like an old-school diner. Access to tanning machines comes with your membership. 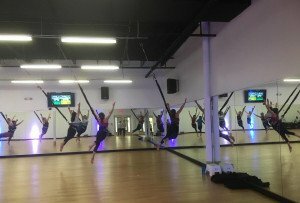 But once you get over the truly retro vibes, it really sounds like it’s going to be an awesome spot for fitness lovers in the Fairmount and Callowhill areas. Let us count the ways: the space will feature all of your typical gym equipment (think: the usual gym machines and free weights, squat racks, and so on), plus some extra perks like a large area dedicated to one-on-one personal training and small group training, a turf area for functional training (complete with classes), group classrooms offering a wide range of classes, from Les Mills to boot camps to Spin to Pilates to kickboxing to MyZone cardio training classes where you can monitor your performance on a leaderboard. They’ll also have locker rooms with showers. Then there are the extras, which include the smoothie bar mentioned above, child care in the mornings and afternoons to early evenings, and an in-gym shop slinging Under Armour gear. They’re also planning to have a physical therapist on-site. Yep, sounds impressive, right? They’re currently in the pre-sale process, and the first 250 folks to sign up will get the $99 enrollment fee waived. After that, memberships are $20 per month to access just equipment and $30 per month gets you access just about everything else (child care, classes, and so on). You can take a virtual tour of the new studio (they tell us it’s an almost-direct reflection of the space) and sign up online, but they’re encouraging people to actually check out the space, which is still in the build-out process, before signing up. You can do that by stopping by their pre-sale offices, which are open at 1500 Spring Garden Street from 10 a.m. to 7 p.m. on weekdays and 10 a.m. to 2 p.m. on weekends.